We invite you to come and view our complete portfolio of all our innovative solutions on show in the heart of London's West End. By bringing our meticulously designed and manufactured products to Margaret Street, we invite you to explore our products first hand. 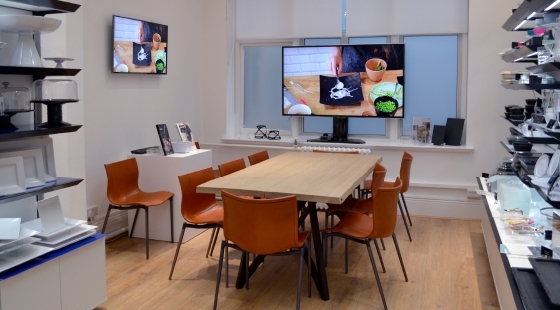 Look out for our regular events; featuring product demonstrations, dining experiences and sector-led training. Contact us, or complete the form below to book your personal or team experience, we look forward to welcoming you. We began our journey in London. 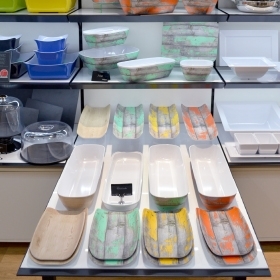 We returned to open a dedicated melamine tableware showroom. 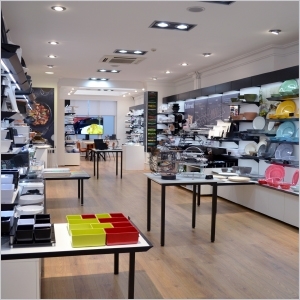 A visual merchandising workshop for independent retailers. 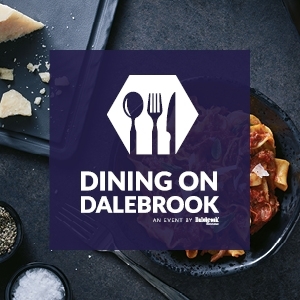 Presenting Dalebrook’s tableware solutions and an à la carte menu, this private-dining experience brings together guest chefs and foodies. 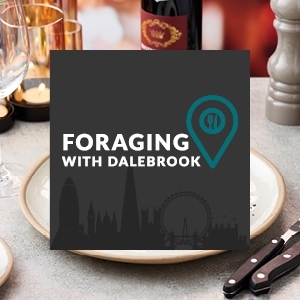 Hosted by the Dalebrook team, come and discover emerging food trends and menu innovation on a tasting tour in the heart of London. 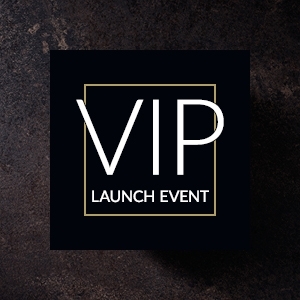 Join our next VIP London Showroom Launch Event. 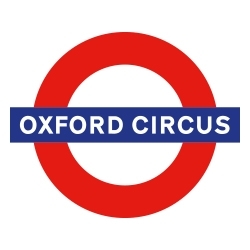 I think on the whole they are very informative and I think that thanks to your organisation and Mr Chudleigh’s presentations you walk away with great insight into displaying products and rather than it feeling like a sales pitch. You are given an insight in how to do a display properly and then offered the tools to do it with at the end. I think that this will be very helpful for our staff, not just the managers and I would like to send some of our younger members up to the showroom for the morning/afternoon/day for some training. In terms of the products I think that they have breathed new life into our counters and it’s like having a mini refit, it also seems to re-ignite the passion in some of our more senior members and it also seems to inspire more creative displays. We have found that customers seem to be taking more notice of certain products than they were before and I think that all of our products now "pop" in the counter especially now the lighting is able to pick the products out. Here at Fuller’s Butchers and Farm Shop we have always found Dalebrook’s products and support second to none, with their innovative designs and displays. Some members of our team were lucky enough to attended one of Dalebrook’s training days “Less is more“ which was extremely informative and helped them to make the best of our counters and products. 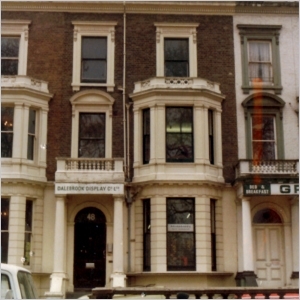 Having visited the Dalebrook showroom in London and listening to Martin’s presentation I hadn’t realised how much times have moved on from stainless trays and greens. Inspired I came back to the shop and decided to make the change to new layouts with different tray shapes at different levels and different textures. By using black trays, marble effect, slate and wood effects our display looks really eye catching and attractive to customers. 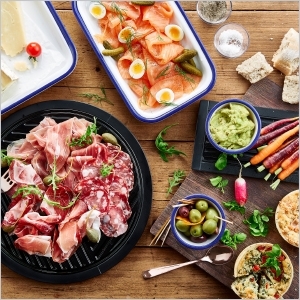 We are able to highlight cuts of meat that we want to promote much more effectively and at a cost significantly less than having a new counter. Martin and David have certainly helped us refresh our meat displays and we are very pleased with the results. Using the trays supplied by Dalebrook and the tips given by Martin at the showroom demonstration, using height, colour, textures to add interest. Not only have the customers been buying off the new trays, our team of staff have enjoyed the new display & have worked well with the new display aids. 1	Following our visit to the London Showroom of Dalebrooks by myself and Andy second visit of one of our team we found it most interesting to review our business and look at our displays in a totally different way. We are all guilty of having the same products in the same location for in some cases years, we are all guilty of falling into the trap of been comfortable with in our zone. 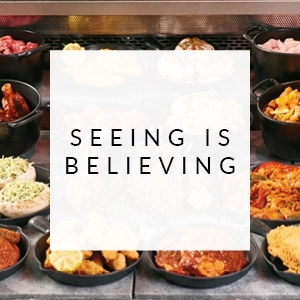 By changing our outlook and looking from a customer’s eye we have seen the light of making us change our selling strategy, with less is more. A very worthwhile exercise. 2	By changing our business strategy having a huge selection of trays in different combinations with colours and textures all food safe has been of great benefit, along with the little touches and tips we collected by Dalebrook along the way it has totally revolutionized our displays resulting in additional sales which by far outweigh the one off expense of the new tray and additional display items. Having been on the Dalebrook demonstration day it has really opened my eyes as to what can be achieved by creative display. Less is definitely more! 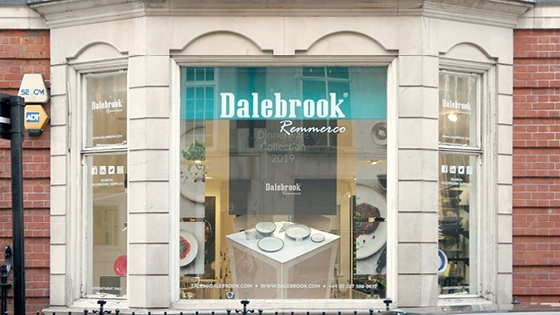 Since using Dalebrook in our counters we have seen a considerable increase in sales. They definitely provide a wow factor which excites customer and staff alike. 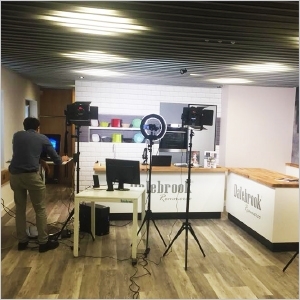 The training days have given us the confidence to create some wonderful window and cabinet displays knowing the knowledge that Dalebrook offer, is always there. High quality, which helps to enhance the quality of our products. 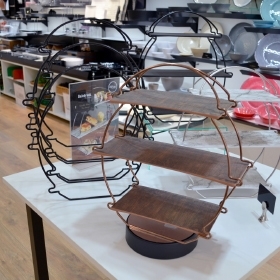 Dalebrook trays give an instant impact to our displays (customers think we have had a refit). Simply fill out the form below and we will contact you to confirm the date and time.